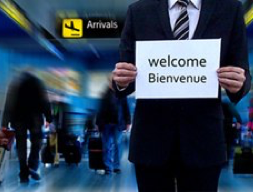 Executive Taxi Provence can assist you for every crews transfer, owners and guests with high end services. We are located close to international airports (Marseille,Nice) and major Mediterranean sea harbors (Marseille, La Ciotat, Antibes, Cannes, Monaco, Barcelona, Genoa). You can count on 1st choice for safe and reliable car service. We promise to be on time to pick you up and drop you off, whether you are just arriving or need to make a departure. Our professional chauffeurs are required to have extensive knowledge of ‘’Provence and côte d’Azur’’ geography, so they can take you whether you need to be. We will ask for your arrival information (by e-mail) so that can track your planes progress, assuring that we are on time for pick-ups (stay in touch by text with the personal driver’s Mobil number), even if the plane is ahead of schedule. Our personal transportation service aims to make your trip as enjoyable and stressless as possible.